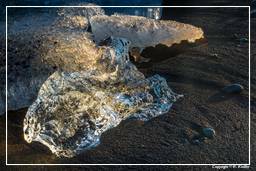 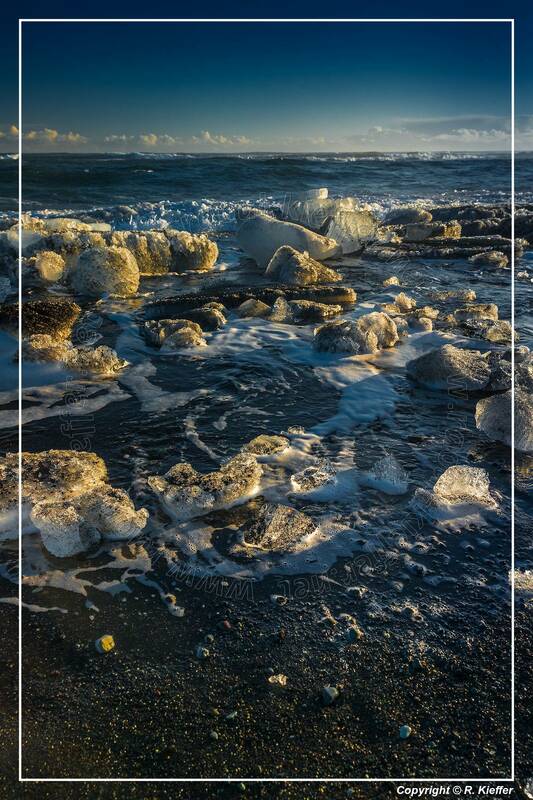 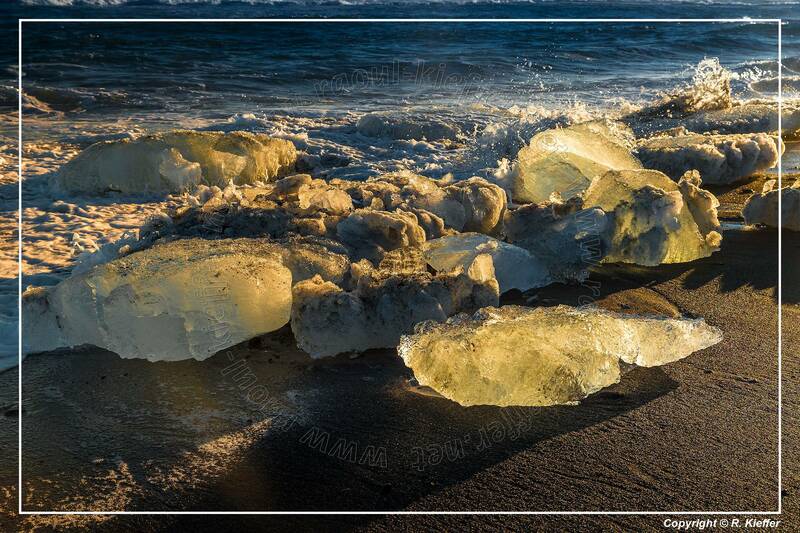 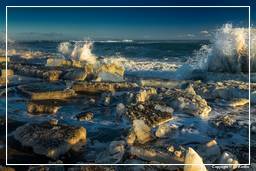 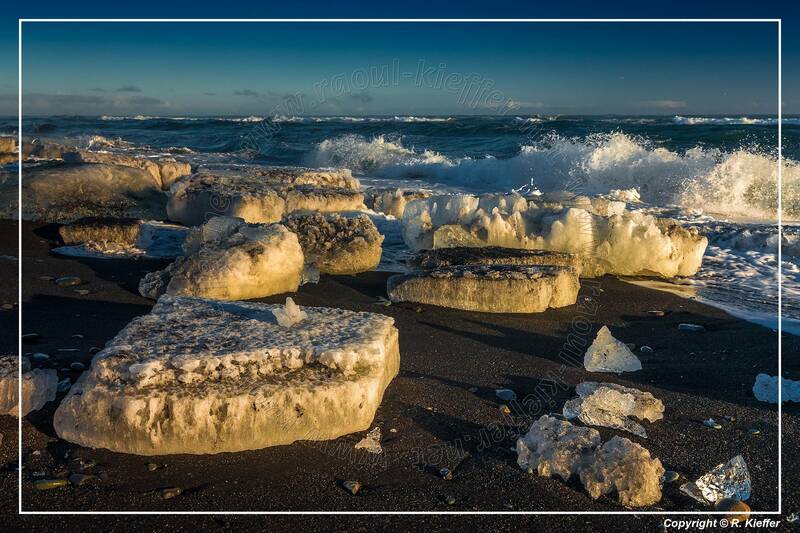 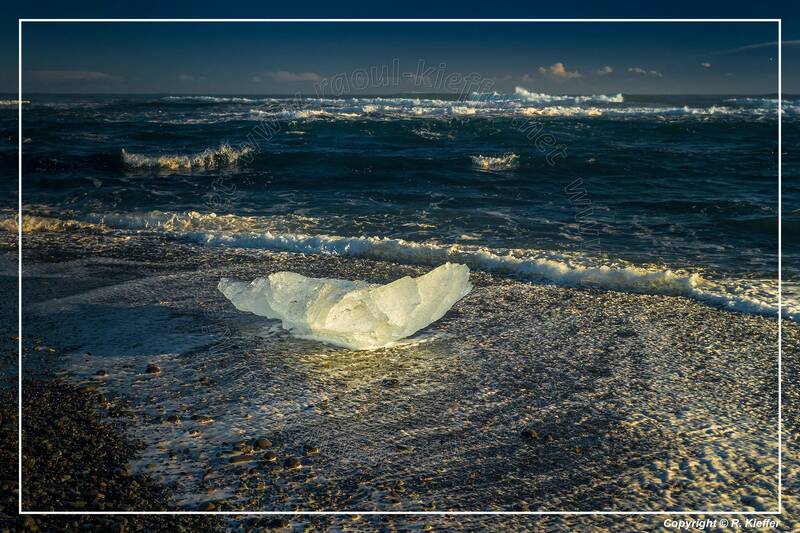 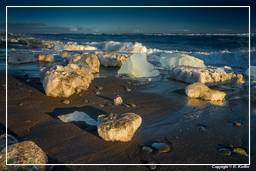 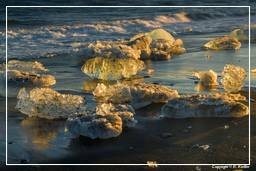 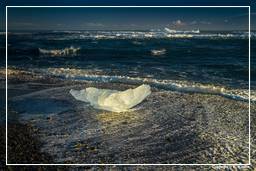 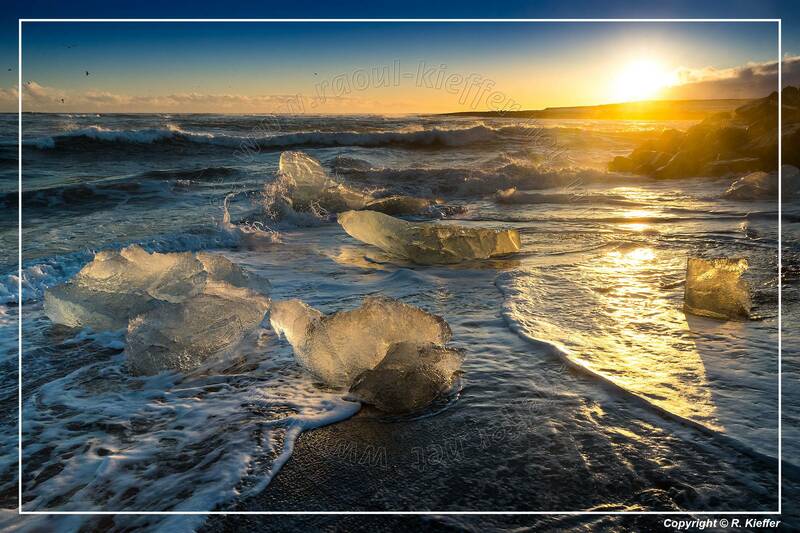 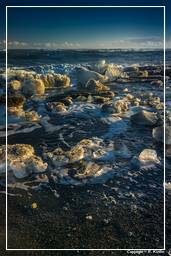 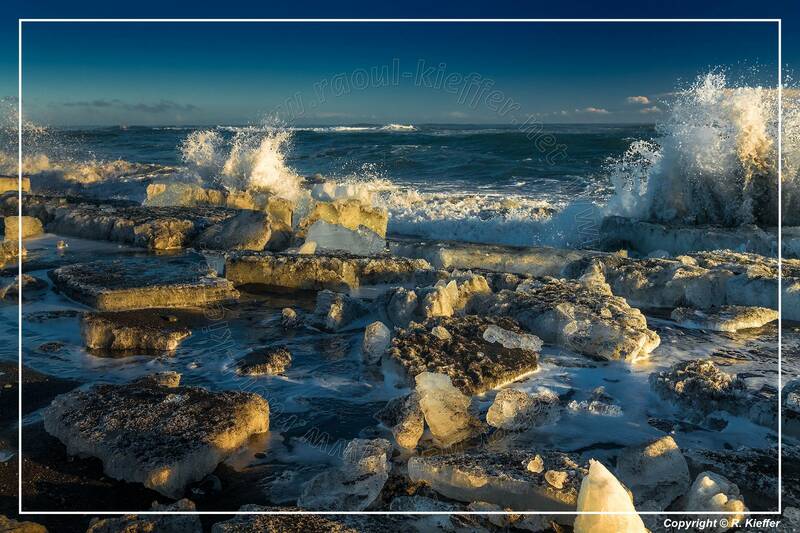 Breiðamerkursandur (also called Diamond Beach for the pieces of glacial ice washed up on the beach) is a sandur (a glacial outwash plain) in southeast Iceland. 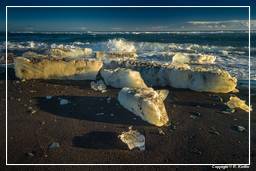 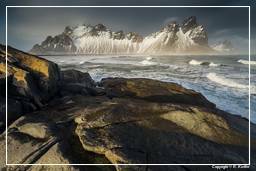 Sandur is the Icelandic word for sand and the whole area is mostly sand, although some vegetation is beginning to grow in the area. 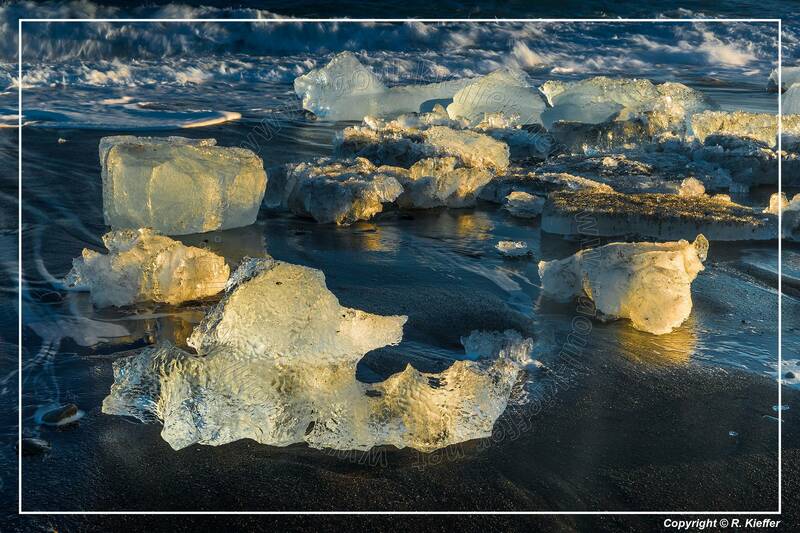 The name of the sandur, Breiðamerkursandur, however means broad forest sand, which suggests that the area may have been heavily vegetated in the early centuries of the Icelandic settlement. 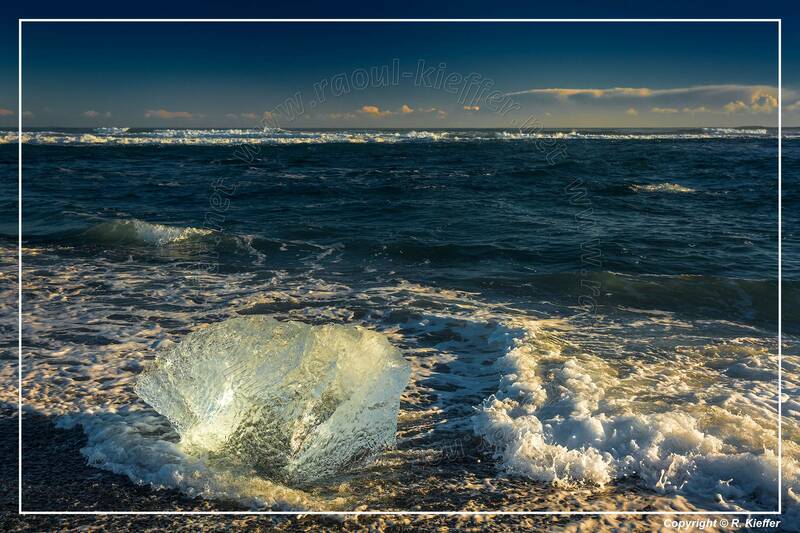 Breiðamerkursandur was formed by the glaciers Breiðamerkurjökull, Fjallsjökull and Hrútárjökull during the last few centuries. 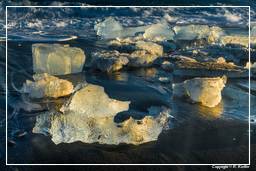 The lagoon Jökulsárlón is located on Breiðamerkursandur. 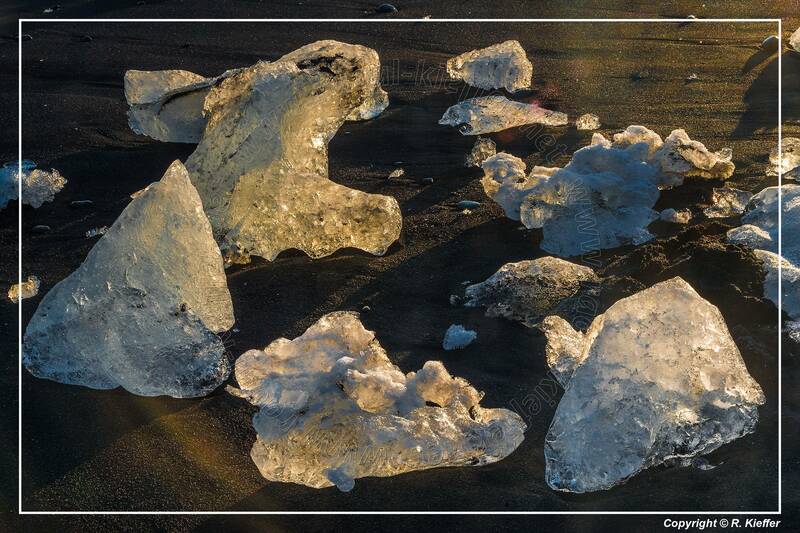 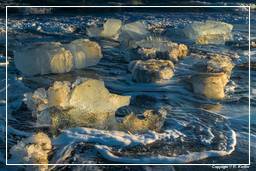 The glaciers that formed the sandur are a part of Vatnajökull, and therefore a part of Vatnajökull National Park. However, neither the plain itself nor the Jökulsárlón lake are a part of the park. 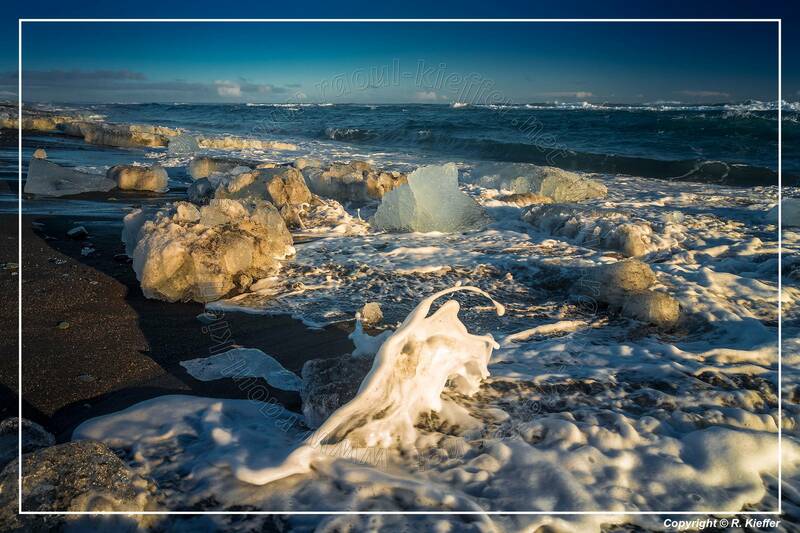 Breiðamerkursandur is an important breeding ground for birds, for example Arctic tern and great skua.